Much has been said in the past few months about the sea rescue of refugees leaving Libya in their bid to reach Europe. 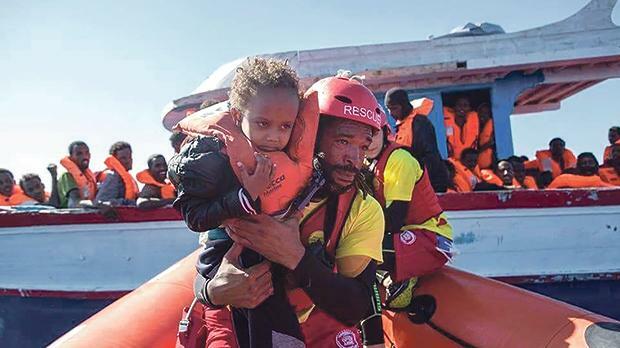 Stand-offs between Italy, Malta and other countries concerning the disembarkation of people saved at sea dominated news headlines, and shocking images of dead bodies washed ashore on the Libyan coasts were everywhere. Amid all this, a spotlight was shone on the NGOs saving people from rickety boats or dinghies. Currently, many of the NGO vessels are docked in Malta and permission to leave the port is being denied by Maltese authorities. The public today has the opportunity to ask questions to those directly involved in NGO rescue operations: Tamino Böhn from Sea Watch, Neeske Beckmann from Lifeline and Markus Groda from Sea Eye. Michael Grech, a philosophy lecturer at the University of Malta (Junior College), will moderate the session. The event, hosted by Sea Watch, Moviment Graffiti and Lifeline, is being held today between 6.30 and 8.30pm at the Volunteer Centre, 181, Melita Street, Valletta. Everyone is invited.